Brookstone Web and Graphic is specifically set up to provide business people with a commercially experienced web and graphic partner. We have a wealth of knowledge in the world of commerce and creativity, so are ideally placed to understand the needs and requirements of business people, and provide them with well suited websites and graphic designs. 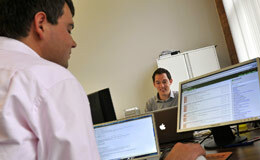 At Source Design, we build individual web sites for businesses, associations, trade bodies and local authorities. We also implement content management systems and web site maintenance services to ensure that your site stays fresh, and our search-engine optimisation service will dramatically boost your ranking in Google. We also provide businesses in the UK with robust web hosting, email hosting and email marketing solutions - all from our office at The Atkins. KHA are a full service marketing agency specialising in marketing consultancy, brand development, digital marketing and print. From single campaign management to marketing strategy, we are a one stop resource.